First of all, for those who aren’t caught up on The Walking Dead, this is a MAJOR spoiler alert. The list you are about to read is overflowing with major Walking Dead spoilers. If you aren't caught up through the Season 5 mid-season finale, read on at your own risk. Still here? Then read on. 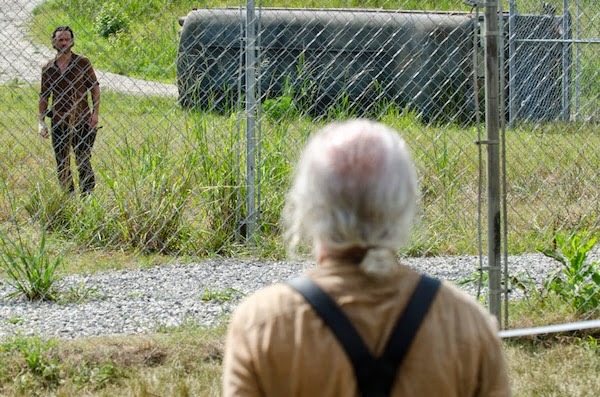 In the first season Andrea’s sister, Amy, is killed by a walker. Amy’s death itself is completely random and tragic, and watching Andrea hold Amy as she dies is incredibly sad. However, watching Andrea try to cope with her sister’s death, descending into depression and thoughts of suicide makes Amy’s death even more gut-wrenching. Dale’s death in Season 2 was kind of a snowball of rip-your-heart-out. First, Dale is attacked by a walker that Carl accidentally sets free (this was back in the days where Carl wouldn’t ever stay in the house), which, love young Carl or hate him, a kid shouldn’t have to feel as though he’s caused someone’s death. Of course, Dale’s death isn’t a simple bite-and-turn. 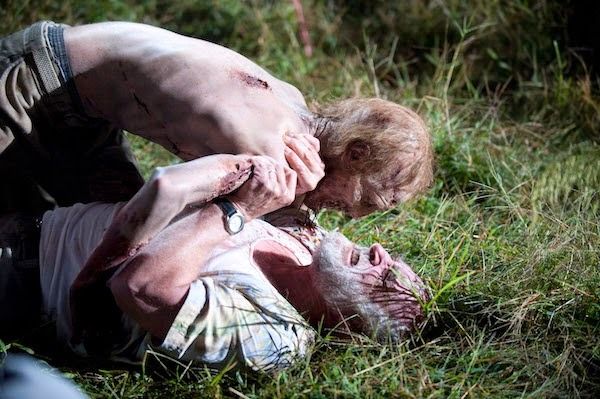 This walker doesn’t bite Dale, but he instead rips his stomach open. When the group realizes they are unable to heal such a devastating wound, Daryl puts Dale out of his misery, saying, “Sorry, brother”, and shooting Dale in the head. Merle was not a nice man, but Daryl loved him because he was his brother. While we may not have been particularly sad to see Merle go--though he did go out with his boots on, facing down the Governor--watching Daryl discover his zombie-brother, attempt to fight him off, and ultimately put Merle down was tragic. 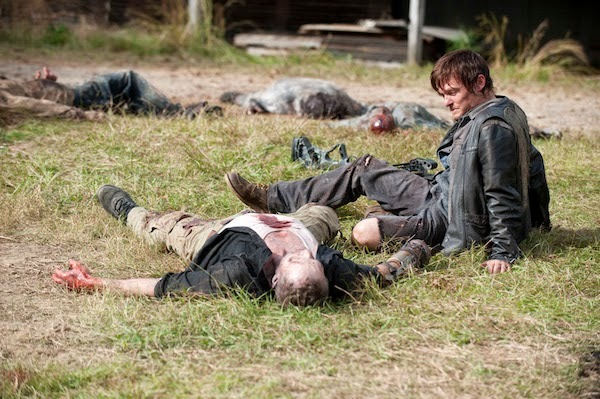 Merle’s death also introduced the world to the gut wrenching thing that is Daryl tears. Before the zombie apocalypse, Rick and Shane were best friends. Then Rick was hurt and slipped into a coma, Shane helped Rick's family escape and fell in love with Rick's wife, and then Rick returned and things got...awkward. Tensions were high between Rick and Shane, and things only got worse when it was suggested that Shane could be the father of Lori's unborn child (the future L'il Asskicker). 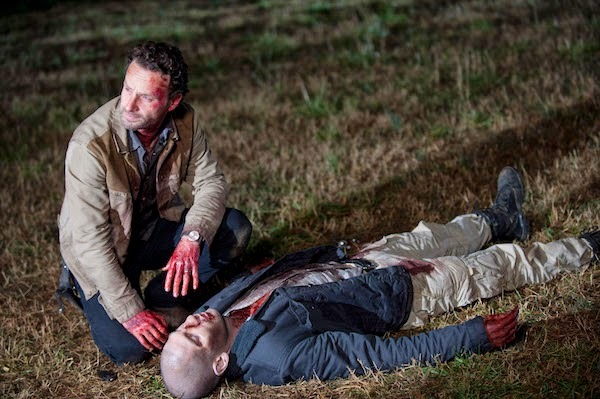 After Shane makes an attempt on Rick's life, Rick ends up killing Shane. Carl (not staying in the house like he was told, shocking), sees the whole exchange, and shoots Shane when he reanimates behind Rick. Rick killing his best friend, then watching his son put down his best friend's reanimated corpse, and then telling his horrified wife is almost too much. I’ll be honest, I really couldn’t stand Hershel while the group was living on his farm. However, once the group took to the wilderness and ultimately found a temporary home in the prison, he became one of my favorite characters. Hershel was a source of wisdom, love, charity, and hope. So obviously, he had to be kidnapped by the Governor and brutally beheaded in front of the entire group, and his two daughters. Also obviously, because the Governor did not destroy Hershel’s brain when he beheaded Hershel, Michonne had to later put down Hershel’s reanimated head. On the plus side, this moment has given me one of my favorite memes, the Rick Dad joke. The actual moment from the show is absolutely tragic. As Lori goes into labor giving birth to Judith, she realizes that she will have to have a C-section if she wants Judith to live. So Maggie performs an emergency C-section, without any sedation, on Lori. She safely delivers a healthy baby Judith, but the process and bloodloss kills Lori. 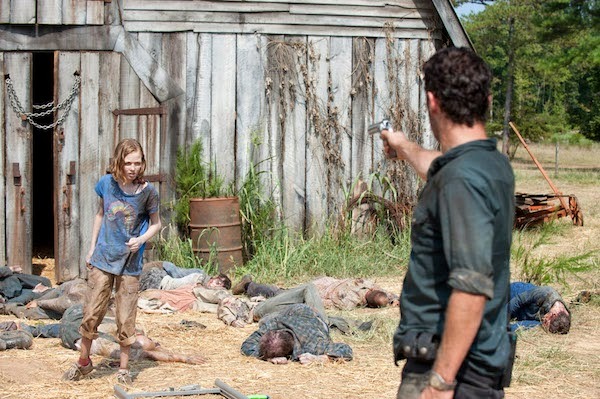 Even worse, Carl shoots Lori in the head to stop her from reanimating. A weeping Maggie bringing Judith to Rick as he slowly realizes he’s lost Lori is one of the roughest moments in the show. It makes sense we made a meme out of that moment--its the only way the fandom could cope. After spending the first half of the season not knowing what became of Beth and then trying to rescue her from the hospital, losing her in what seemed to be accidental fire from Officer Dawn was almost too much. This moment also brought the resurrection of Daryl tears, and watching Maggie (who had just found out her sister was alive) see Daryl carry Beth’s lifeless body from the hospital was almost too much. 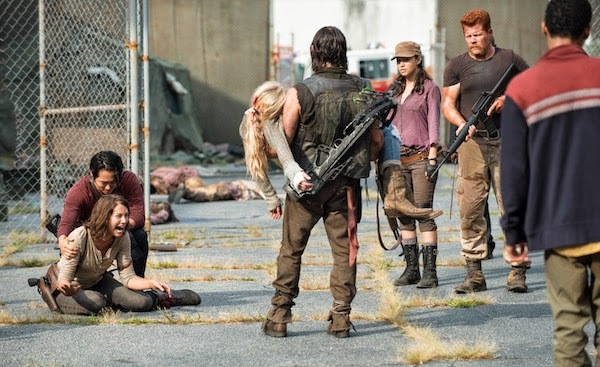 The reaction of the cast and Emily Kinney herself over Beth’s death makes her death even more tragic. 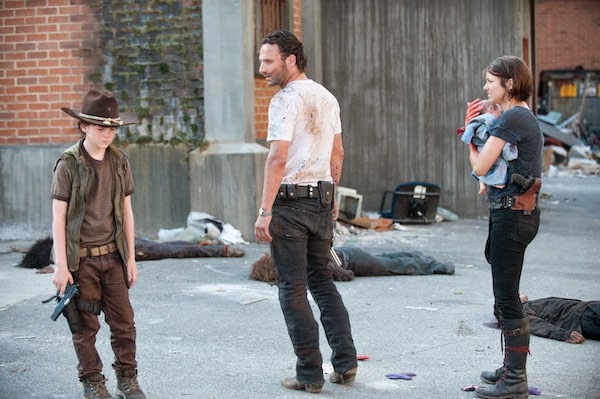 No list of the gut-wrenching moments of The Walking Dead is complete without this moment. This episode left the entire Walking Dead fandom speechless. 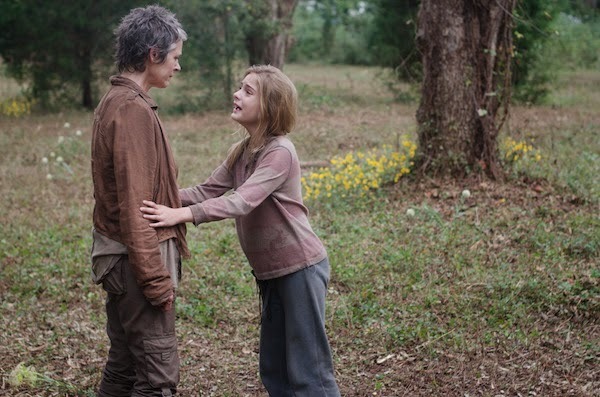 It’s unclear what was the worst part of this moment, the fact that Lizzie is so profoundly unable to understand this world and kills her own sister, the fact that it means she is far too dangerous to continue living, or the fact that Carol had to shoot her in the field behind the house, Old Yeller-style. Much like the Rick dad jokes, out of a sheer need to cope with tragedy, the fandom has turned “look at the flowers” from a tragic phrase uttered before killing an innocent child into a verb used to express Carol-toughness (ex: Carol will go all “look at the flowers” on that hospital).